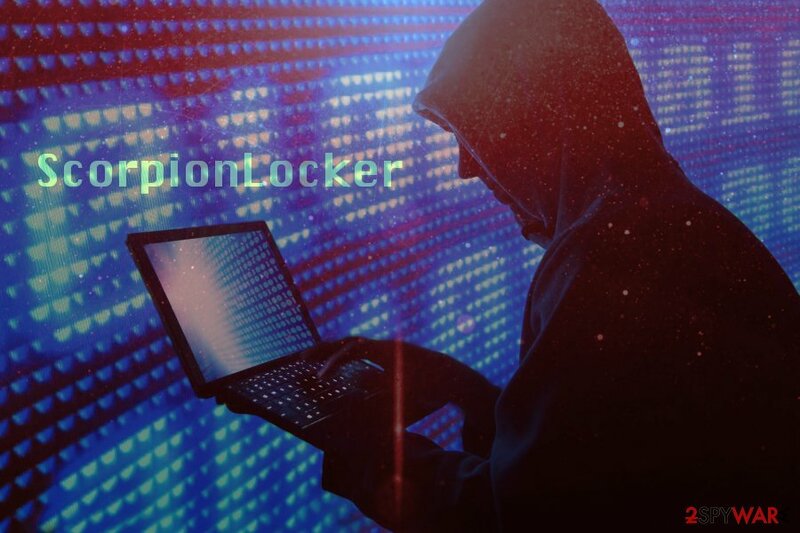 ScorpionLocker ransomware uses sophisticated techniques to infiltrate computers and hide from its victims. Use Reimage to determine whether your system is infected and prevent the loss of your files. ScorpionLocker is a crypto-virus based on HiddenTear malware. The dangerous cyber threat enters victims machines unnoticed and, after strengthening its presence within the system, locks up a variety of files using AES cipher. The virus adds .ScorpionLocker extension of each of the affected files and demands a ransom of 0.1 BTC to be paid for data release key. Next, ScorpionLocker modifies a variety of different files, including .doc, .html, .jpg, .txt, .avi, etc. by appending the extension to them. This allows hackers to demand payment for the decryption key, which is stored on a remote server and created for each of the victims individually. Your documents, photos, databases and other important files have been encrypted with strongest encryption and unique key, generated for this computer. Private decryption key is stored on a secret internet server and nobody can decrypt your files until you pay obtain the private key. As you can see, the only goal cybercriminals have is to obtain money illegally from innocent victims. Regardless of how scary the situation might be, you should never pay the ransom and contact cybercriminals as they are known to ignore users, even after payment is processed. Instead, you should remove ScorpionLocker using Reimage or Plumbytes Anti-MalwareMalwarebytes Malwarebytes and then proceed with the file recovery procedure. Unfortunately, ScorpionLocker ransomware decrypt is not yet created. However, users can try using HiddenTear decryptor which was developed a while ago. Also, victims are in luck if they had their files backed up on an external HDD or a remote server, like Dropbox. Nevertheless, we also provide several other options that might help users to get their files back. Overall, ransomware infection is really dangerous as it directly affects files and users might end up losing them all. Regardless of the terrible situation, you shout not fulfill hackers’ demands and firstly carry out ScorpionLocker removal. Anti-virus engines detect the malicious file, so you should make sure that you have robust security software installed at all times. ScorpionLocker ransomware is a deadly virus that locks up victims' files and demands ransom to be paid for their release. The most prominent distribution method of ransomware is via contaminated email attachments. Therefore, security experts advise never to open emails from unknown sources and delete them ASAP. Additionally, the email service provider has a built-in security system that flags up suspicious emails. So make sure never to ignore these warnings! Additionally, dangerous malware can be obtained via hacked, fake software, malware-laden sites and exploit kits. Therefore, we highly recommend staying away from various file sharing websites and always pick legitimate sources for your downloads. Hackers often exploit vulnerabilities in various applications to infect victims with ransomware. Therefore, you should keep every single program on your computer up to date – especially operating system itself. Because ransomware is a complicated type of virus, we do not recommend manual ScorpionLocker removal as you are probably will not be successful. Besides, tampering with system files might lead to permanent computer damage. Thus, remove ScorpionLocker virus using a robust security tool, such as Reimage, Malwarebytes MalwarebytesCombo Cleaner or Plumbytes Anti-MalwareMalwarebytes Malwarebytes. 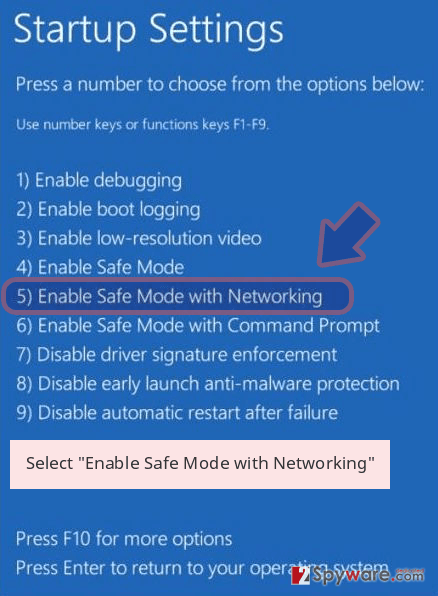 Remember that security software might be impossible to start in normal mode. 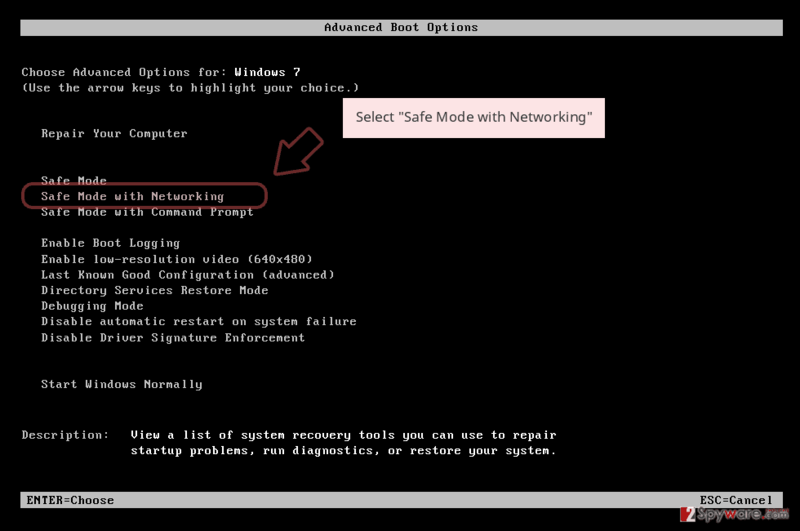 Thus, reboot your PC in Safe Mode with Networking (as explained below) and start the program from there. 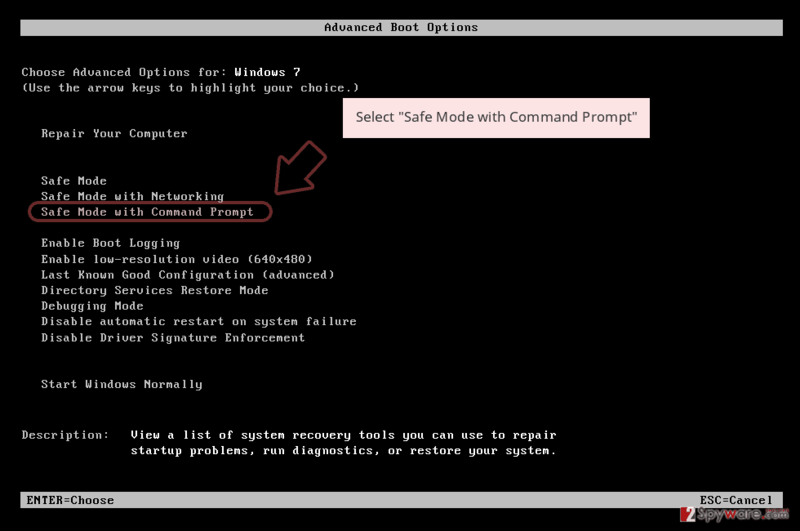 You should boot your computer in Safe Mode with Networking. This way you will be able to bypass ScorpionLocker's protection. Log in to your infected account and start the browser. Download Reimage or other legitimate anti-spyware program. Update it before a full system scan and remove malicious files that belong to your ransomware and complete ScorpionLocker removal. 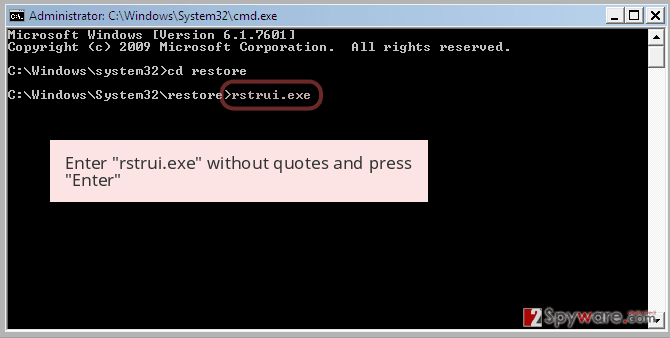 You can also try to eliminate the virus by using System Restore function. 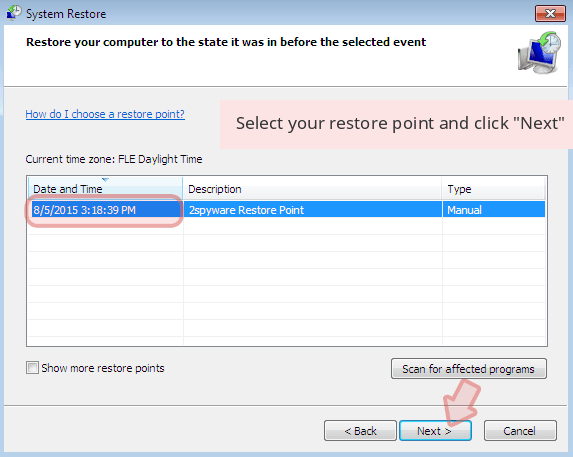 When a new window shows up, click Next and select your restore point that is prior the infiltration of ScorpionLocker. After doing that, click Next. 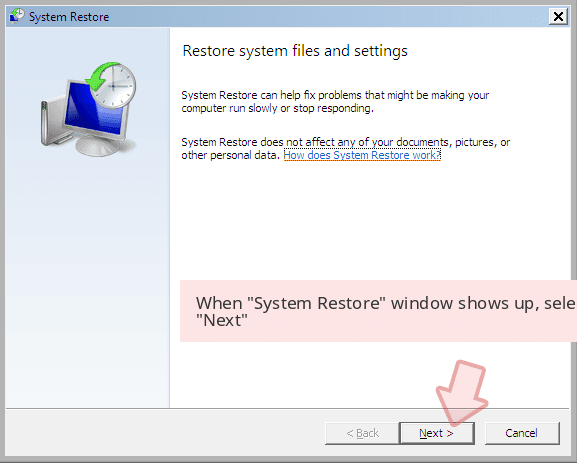 Once you restore your system to a previous date, download and scan your computer with Reimage and make sure that ScorpionLocker removal is performed successfully. Guide which is presented above is supposed to help you remove ScorpionLocker from your computer. To recover your encrypted files, we recommend using a detailed guide prepared by 2-spyware.com security experts. As we already mentioned, we do not recommend paying hackers as you might not only lose your files, but also your money. Thus, try the following alternative methods which could help you to get your files back safely. Data Recovery Pro is mainly dedicating to restoring accidentally deleted or corrupted files. In some cases, the program can also be useful with recovering files affected by ransomware. 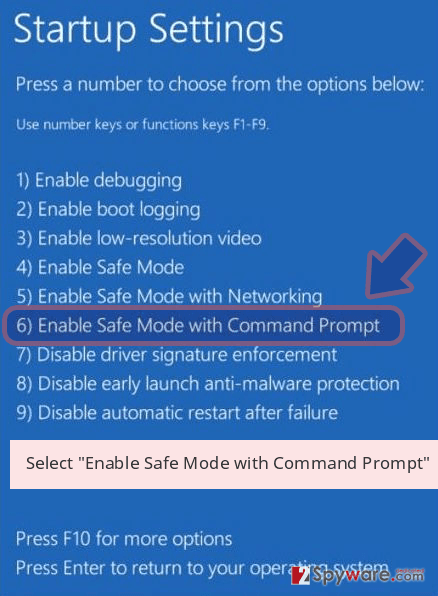 This method can only be used if you had System Restore function enabled before the virus attack occurred. ShadowExplorer will be effective if the virus did not delete Shadow Volume Copies. As we already mentioned, the specific decryptor for ScorpionLocker ransomware has not been created yet. However, because malware is based on HiddenTear, we advise trying its decryptor and see if it can be useful to you. ^ Crypto Ransomware. US-Cert. US Computer Emergency Readiness Team. ^ c1dfd24fc912e5e7ea66f21ff43cb03765e5828a5b880e7115d75eeda04ca0cc. VirusTotal. 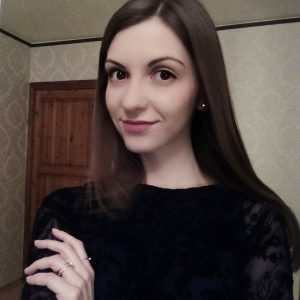 A free file scanner tool. This entry was posted on 2018-04-05 at 04:44 and is filed under Ransomware, Viruses. You can quickly scan the QR code with your mobile device and have ScorpionLocker ransomware manual removal instructions right in your pocket. How did you remove ScorpionLocker virus?